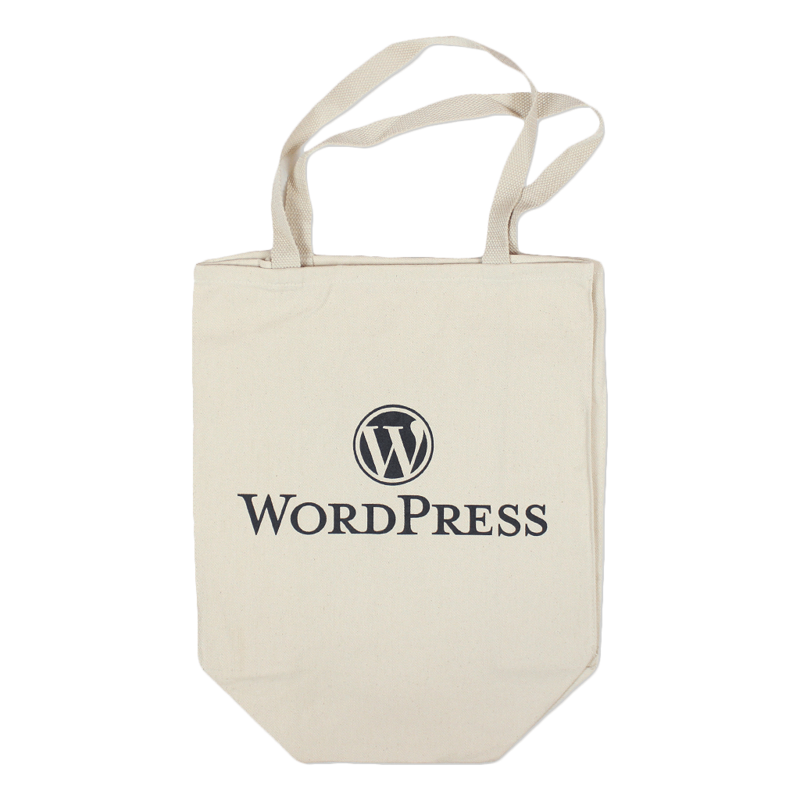 Skip the paper or plastic — this roomy carry-all is perfect for the WordPress user on the go! – 100% cotton twill – 11″ handles – Dimensions:15.5″h x 14.5″w x 7″d Note: Bags not intended for use by children 12 and under. Includes a California Prop 65 and social responsibility hangtag.